– Sat Nov 1st Halloween Salsa Party @ LSPU Hall on Victoria Street! Wednesday 8:45-9:45pm – Level 2 Salsa/Latin This class is for students of our previous level 2. New students are welcome but must be able to complete basic salsa turn patterns. Price: $110 for 8 weeks, $15 drop in. Sunday 7-8pm – Level 1 Salsa/Latin This class is for complete beginners. No experience necessary, no partner necessary. Price: $110 for 8 weeks, $15 drop in. Sunday 8-9pm – Zumba Fitness Ditch the workout and join the party as we have fun using music and dance to get into shape. This is not a dance class. No dance experience necessary! Price: $80 for 10 Zumba sessions, $10 drop in. with Bobby Thompson coming up this weekend, Sept 18th-21st. If possible, please register at any TOTE practica leading up to the workshop, contact Cecilia at ceciliamcgruer@live.ca or Alison at powellalison@yahoo.com otherwise register at the workshop. Classes will be filled on a first come first served basis, some classes were full at the Winter Workshop so register early. See http://tangoontheedge.ca/site/Fall_Wkshop_14.html for full details! Get your dance shoes ready, there’s soooo much happening this weekend! –> LINDY HOP: Friday May 9th is a CHANCE TO DANCE! The Landing (MUN UC) from 7:30-9:30pm. Chance to Dance is a practice session, held every few weeks, where Hoppers can practice the moves that we’ve already learned. In other words: dancey playtime! We won’t be teaching you anything new, but we can answer any questions you have about what you’ve covered with us before, and we can certainly help you develop some flair or string familiar movements together in new and interesting ways. Bring your smile and your dancin’ shoes! –> WEST COAST JIVE: Workshop this coming Saturday May 10! A popular and fun dance style on the west coast that has been gaining popularity here in St. John’s! Workshop takes place at St. Matthew’s Elementary in Cowan Heights 2:00PM! Learn the moves to dance to the blues, to Latin, or to whatever tune tickles your fancy to put a whole lotta sugar push into it! Call DEE to reserve your spot at 728 – 1906! A big thanks to Tango on the Edge for helping to organize these milongas! (tangoontheedge.ca). Looking forward to a night of dance and laughter! Don’t wait!!! These classes will fill up quickly!!!! And don’t forget that you can dance on into the weekdays too! 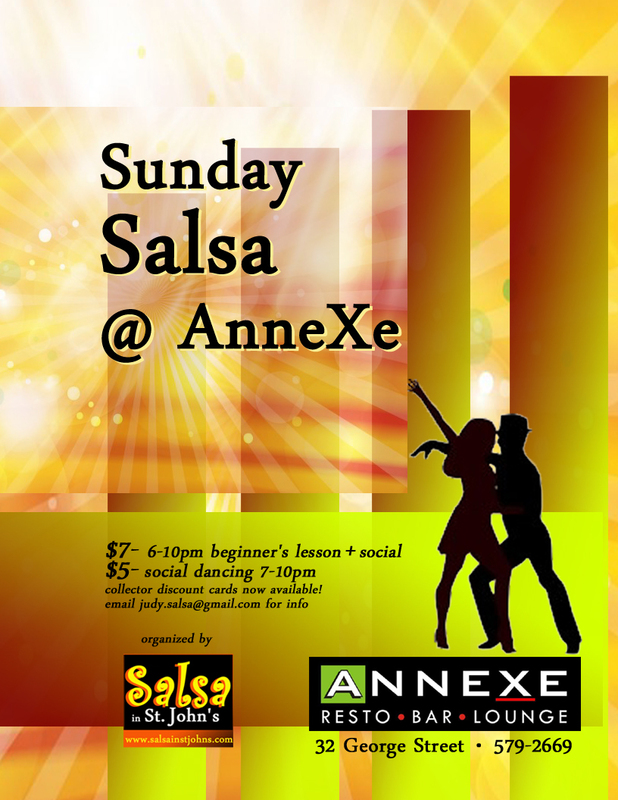 –> SUNDAYS – LATIN SOCIALS @ AnneXe Lounge 32 George Street with DJ Marcelo & Annita. NOTE: check fb page https://www.facebook.com/AnnexeLatinDance for updates or cancellations. Social may not happen on Fiesta Latina weekends. –> MONDAYS – LATIN DANCE NIGHTS hosted by Deneen Connolly, The Masonic Temple, Cathedral Street. 8-9pm Latin dance class (Next six week course starting June 2nd!) Dance floor is open to everyone 9pm to close. –> TUESDAY – LINDY HOP SWING DANCE CLASSES with Lindy Hop on The Rock at The Landing (MUN UC). NO PARTNER REQUIRED! **7-8pm – Swing I (beginner) and Swing II (intermediate), **8-8:30 – Social Dance, **8:30-9:30 – Advanced Class. 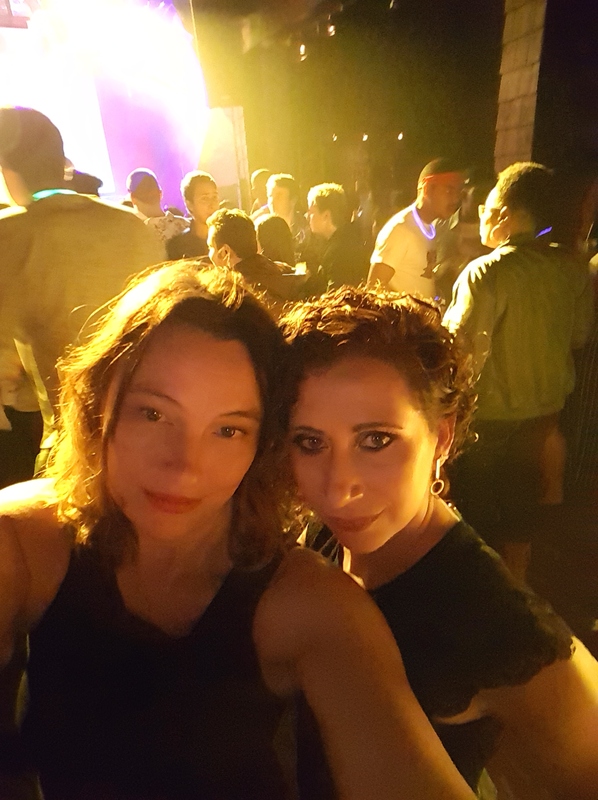 Salsa in St. John’s…happily helping keep St. John’s dancing! Come dance into spring with a Brazilian Carnival Party, a kids n family Swing Dance Concert, a Swing Dance Social, and a Tango Milonga Brava! The Off-Campus Housing Office will be doing a Brazilian Carnival Party at Billy Miller Common Room in Corte Real on Friday, March 21st, 7pm – 11pm, 2014. Join us for Brazilian Snacks, carnival songs and dance. Prize for the best costume and other prizes to be won. The fee is only $5 per person, which should be paid until 19th, March at OCH, Coughlan College 1035. Hi lindy hoppers, so we’ve had LOTS of new dancers the past few months, and I’m sure everyone is itching to get a little dolled up, get out on the dancefloor and try out their moves! We’ve got a great social lined up. We want to emphasize as usual that BEGINNERS ARE WELCOME!!! We’ll have a lesson to kick off the night. We’ve got lots of great tunes to play for ya, and a great new venue, upstairs at the Republic – it’s the door to the right of the main door, on Duckworth St.
Only $6 cover! See you there!!! –> The Swinging Belles – Swing Music for Kids at the Rocket Room, 272 Water St, March 29, 1:30-3pm. Come on down to the Rocket Room, Saturday March 29th and meet the Swinging Belles, a local swing band for kids! Kick up your heels and have a swinging good time with the whole family. The Belles will perform from 2-3pm but why not come on down 1:30 for the Belle Hop, a chance to warm up with the musicians and have a little playtime! Tickets are $7 at the door. The Swinging Belles feature child educators and performers Laura Winter and Erin Power joined by guitarist extraordinaire Duane Andrews. This is the Swinging Belles debut show and it will be packed with music, interactive story telling and dancing… lots of dancing. So saddle up and swing on down for a hoe down that don’t slow down. 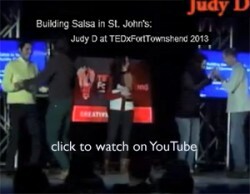 What’s happening in MAY 2013 – Salsa in St. John’s: lessons and events! – Session 1 (4-weeks) Tuesday, May 7-Sunday, June 2. – Session 2 (5-weeks) Tuesday, June 4-Thursday, July 4. – Session 3 (8-weeks) Tuesday, July 9-Thursday, Aug. 29. – Session 1: Tuesday and Sunday nights from 7:30p.m.-9:30p.m. Location: SN 4083. – Sessions 2 and 3: Tuesday and Thursday nights from 7:30-9:30p.m. Location TBA. Note: feel free to come to class at 7:00p.m. if you ever want to practice steps/moves or are bringing new dancers. •Thursday practica will take place in the 4th floor practice room of the Arts and culture Centre May 2nd , 8:30 – 10:30 pm Take the elevator by the NSO Office. Signs will be posted to point the way. •Sunday Practica will take place at the Mmap Room, Arts and Culture Centre 7 – 9 pm. Our focus is on Milonga for the next couple of guided sessions. Sat May 6th, 7-11pm Come one, come all to the MUN Swing Club’s Spring Social! All are welcome! No experience or partner required. Just bring indoor shoes (that don’t have too much grip, like Keds), and an itch to dance! We will have a beginner’s lesson from 7:00-8:00p.m. and social dancing from 8:00-11:00. How much? Tickets are $5 and will be sold at the door. This money will go towards funds for a future Swing Social with a live band. Where exactly is the dance? On the third floor of the Arts and Culture Center, in the MMAP Room. Summer is on its way! What better reason is there to dance? If you’ve never danced tango before, there will be a foundations lesson from 7-8, with social dancing and general merrymaking from 8-11. You don’t need to bring a partner, but may do so if you want. Friday, May 17th, 7 – 11:30pm. Contact Alison to book your space.